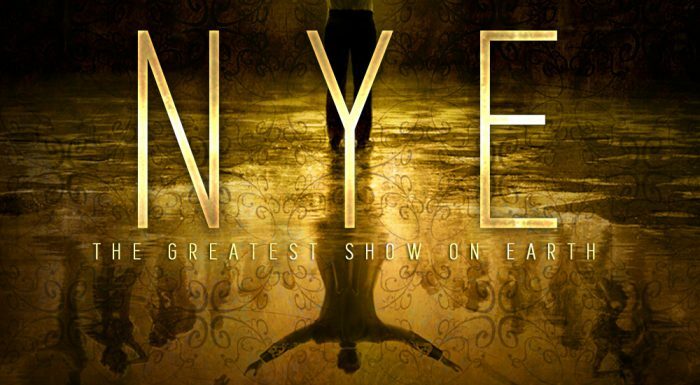 The popular downtown nightclub will adapt ‘The Greatest Showman’ for NYE partygoers, featuring guest DJ’s, outrageous stunts and over-the-top circus performances. Ostensibly every movie you’ve ever seen paints an idyllic visage of Los Angeles, Las Vegas and New York City. While many often aspire to have careers in “the city that never sleeps,” “Sin City,” or “La La Land,” our very own Dallas has enough quickness, indulgences and sights to meet visitor expectations. Despite how every non-Linklater movie about Texas is set in its western region. Improving North Texas’ reputation is Don’t Tell Supper Club, a vivacious, downtown nightclub promoting indulgence merely through its name. Ringing in 2019 with beverages and a bang, the Don’t Tell team will throw “The Greatest Show on Earth,” a New Year’s Eve bash poised to rival spectacles mostly seen in a Vegas or a Manhattan. 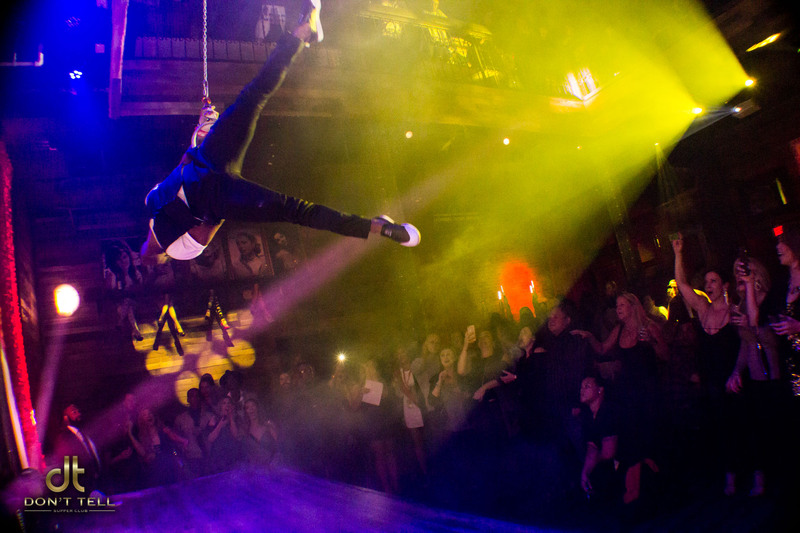 Complete with some of the world’s most talented DJs, magicians, aerialists and acrobats, the eventful evening will marry those requisites with all of Don’t Tell’s incredible services. These include a midnight champagne toast, cash prizes and the best tomahawk beef in all of Dallas. Not to mention the nightly performance is an adaptation of “The Greatest Showman,” the hit musical about the formation of the Barnum and Bailey Circus. The noted Hollywood stuntman is Frank Chapman, who has doubled for several of the Spider-Man actors. His work is featured most prominently in “Spider-Man 3,” “The Amazing Spider-Man” and “The Amazing Spider-Man 2.” But while he has West Coast training, his roots are right here in the DFW. Diaz, who now doubles for Tom Holland’s Spider-Man, took a break from the friendly neighborhood to perform stunts on “X-Men Origins: Wolverine” in Australia. During this time, Chapman used his super talent on the Andrew Garfield films before returning to Dallas – only for Don’t Tell to hire him and let his skills lose. Also notable are Julio and Kelli Ramazini, a clown duo who has toured throughout the United States and Mexico as former members of the Barnum and Bailey Circus. They have been featured in national telecasts, news publications and radio broadcasts for their impressive physical skills, and coach students at Dallas’ Lonestar Circus School. “The [New Year’s] event will feature our juggling and magic tricks, and we’ll also interact with visitors directly,” said Julio, who is specially trained in trapeze artistry, unicycling and stilt walking. Kelli is trained in contortion, juggling and aerial silks, among other abilities. The first four-course dinner sitting is from 6:30 p.m. to 8:30 p.m., going at $100 per person. The second dinner sitting is from 9:00 p.m. to 10:30 p.m. and will go at $125 per person. The late door entrance fee, after 10:00 p.m., is $25. Visit the Facebook event for more details. Reservations can be made by calling 214-432-8282. Don’t Tell Supper Club is located at 2026 Commerce St, Dallas, Texas 75201. More information on Don’t Tell can be found on Facebook, Instagram or their official website.